Never thought you’d pick up this massive book, did you? War and Peace is one of those books that many readers are too intimidated to pick up – it’s massive at 1200+ pages, it’s set at a time and place that most people are unfamiliar with, and there’s a huge cast of characters that makes a measly 300-page novel look like a short story. I wanted to use it today, however, to take advantage of its timeless, yet beautiful complexity that truly sets it apart from most of the other “classics”. War and Peace by Count Leo Tolstoy was initially serialized, and later collected in a single volume of literature in the 1860s. It was an instant success, and has never lost its popularity. Along with Anna Karenina, it cemented Tolstoy’s reputation as one of the greatest writers in the world, and has undergone numerous adaptations and translations. Most recently, BBC released an acclaimed miniseries adaptation starring Lily James (of Cinderella fame). As always, I’ve created three distinct outfit sets inspired by this literary masterpiece. Instead of using quotes (due to both the vast amount of material and the differences across translations), I’m focusing on three of the principal female characters of the book: Natasha Rostova, Helene Kuragina, and Marya Bolkonskaya. There is a certain level of extravagance and formality in these outfits, as the book delves into a level of high society that most readers today are unfamiliar with. But don’t worry – the last outfit set is as casual as can be for the cool Russian climate. Warning: There are spoilers in all three of the outfit sets, as I have attempted to describe the major female characters from their first to final appearances in War and Peace. 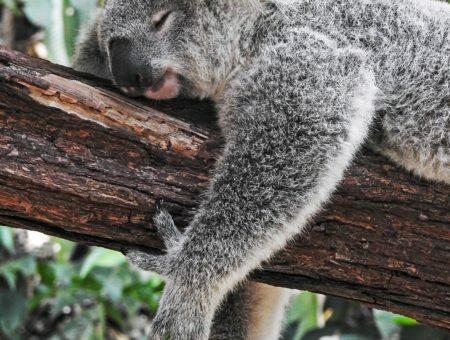 Please don’t read on if you would like to avoid any spoilers! Natasha begins as a young, but rambunctious girl growing up in Moscow, Russia in the early 1800s. She is energetic, bubbly, and unafraid to give her heart to others, and eventually grows into a beautiful young woman. She falls in love several times, needing no justification for her wholly natural acceptance of her feelings, but is damaged by her brief interlude with the deceptive Anatole Kuragin (brother of Helene Kuragina). She recovers from a severe illness and matures enough to gain the forgiveness of former fiancé Andrei Bolkonsky before moving on to marry the main character of the book: Pierre Bezukhov. While not as beautiful as Helene, Natasha possesses a spark that is equally compelling. She is morally driven, and is set up as Helene’s counterpart from almost every possible angle. To channel Natasha, the outfit above is girly and sweet, although the heels are high and the accessories are sophisticated. Natasha grows up a little too fast, and is a risk-taker, although she retains a pure spirit and is true to herself and her family for most of the book. I envision her style as simple, and a product of her upbringing in a warm family environment and her entrance into the glamour of society. From the first pages of the novel, Helene Kuragina is depicted as the most beautiful woman in Russia. She is described as a marble statue and is praised as representing the absolute height of elegance, poise, and French-speaking society in St. Petersburg. Unlike Natasha, however, she is manipulative, artificial, and uncaring for Russian tradition. She never intends on being faithful to her husband – after seducing him – and eventually dies from what is implied to be an attempt to abort her pregnancy. Like the rest of her family, she is seen as lethal and selfish, yet wields a kind of power that few other women have at this point in time. She behaves as she likes, and is intelligent enough to have a subtle, but iron grip on Russian high society. This outfit is sensual in a restrained way, and reflects Helene’s angelic façade. The accessories are tasteful and delicate, but the rings represent Helene’s interactions with marriages – first trapping Pierre into a farce of a marriage, and then attempting to annul it in order to marry another man – and the stockings have a hardly noticeable fishnet design. I was inspired to create a cold weather outfit here, because Helene’s beauty is cold and detached, in stark contrast to Natasha’s vibrancy. I also included the picture of model Natasha Poly to illustrate the deep red lip color that I would imagine would complement Helene’s light complexion. Marya is the sister of Andrei Bolkonsky, who is one of the book’s male leads. She is initially seen as an unhappy woman who remains at home with her father, unwilling to leave the familiar atmosphere. She is deeply religious, and is rather plain compared to the rest of the female cast, except for her exceptionally beautiful eyes. Though at first she appears to be submissive and afraid, Marya holds fast to her personal beliefs, resisting exterior influence and change to the best of her ability – including contesting the possible marriage with one of the Kuragins. Ultimately, Marya marries Natasha Rostova’s older brother, Nikolai, despite his opposition to the idea of marrying a wealthy heiress. This turns out to be arguably the most successful marriage in the novel, however, as Nikolai relies on her on a personal level rather than a financial one, until he is able to rebuild his family’s finances and raise their children securely. This was a surprising ending for me, as I did not expect the older Marya to find a husband that would treat her well and not take advantage of her money. Since Marya largely stays away from sparkling high society, I kept this outfit casual. It is conservative because of her orthodox upbringing, and also reflects her intense loyalty and desire for comfort. It’s simple, but relaxed, although there are some prints mixed in with the socks and bag. I did not include any jewelry other than sunglasses, which I used to reference Marya’s gorgeous eyes and how they are easily missed unless one really takes the time to look at her. 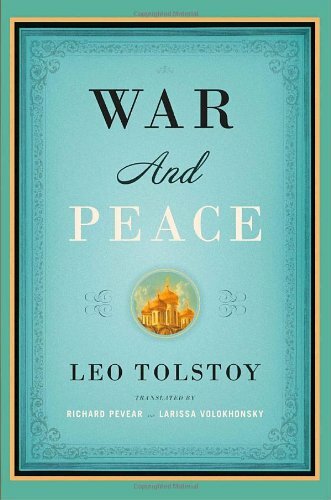 Have you ever considered reading War and Peace, or even already completed it? How do you feel about using historical fiction for fashion inspiration? Let us know in the comments below!